This Rebel darts set includes a durable bristle dartboard manufactured from the finest East African sisal to Winmau's exacting standards. The deluxe veneer-effect cabinet includes Home and Away easy-wipe scoring panels and magnetic closure system. The darts feature a knurled pattern for superb grip, high quality nylon shafts and aerodynamically designed Mega Standard flights. 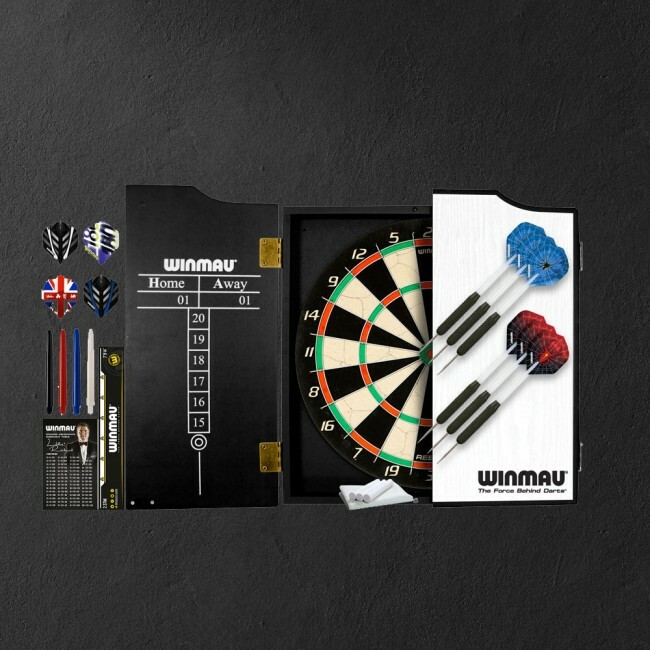 The dartboard and cabinet supplied with this set are not interchangeable with other Winmau dartboards or cabinets. Weight of dart 19g. Size: H49cm, W47cm, D5.4cm.